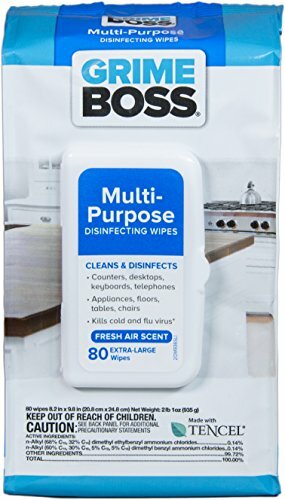 Bringing powerful, yet gentle solutions to solve the toughest household cleaning challenges, Grime Boss is from the leader in healthcare disinfecting and worldwide leader in pre-moistened wipes - Nice-Pak, Inc. Cleans effectively, does not dry out when in package and kills 99.9% of germs. The highest quality product for the best value. Fresh Air Scent - Size: 8.2" x 9.8"
If you have any questions about this product by Grime Boss, contact us by completing and submitting the form below. If you are looking for a specif part number, please include it with your message.